TOPKAPI/NEVER ON SUNDAY Condition: Overall displays in Very Good Condition. 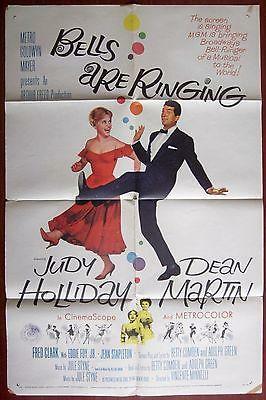 Original and fun folded-as-issued One Sheet (27″x41″) for the Jules Dassin romantic comedy double-feature displays light fold/edgewear, otherwise displays rich color and fun artwork . 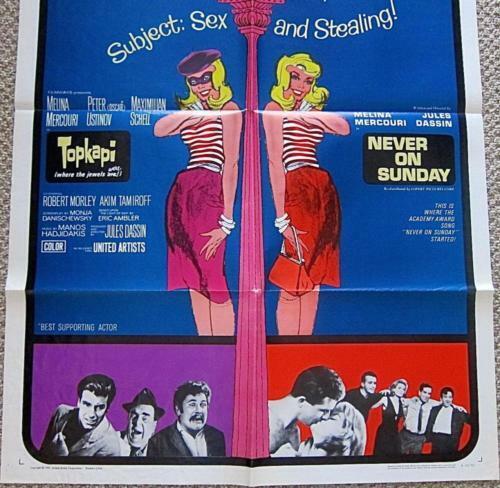 Please refer to the attached image and enlarge for a detailed view of this rare, original One Sheet for the Jules Dassin double-feature, TOPKAPI & NEVER ON SUNDAY.